Selling your Utah County house is a lot easier when you have an experienced professional relieving you of the lion’s share of the work. 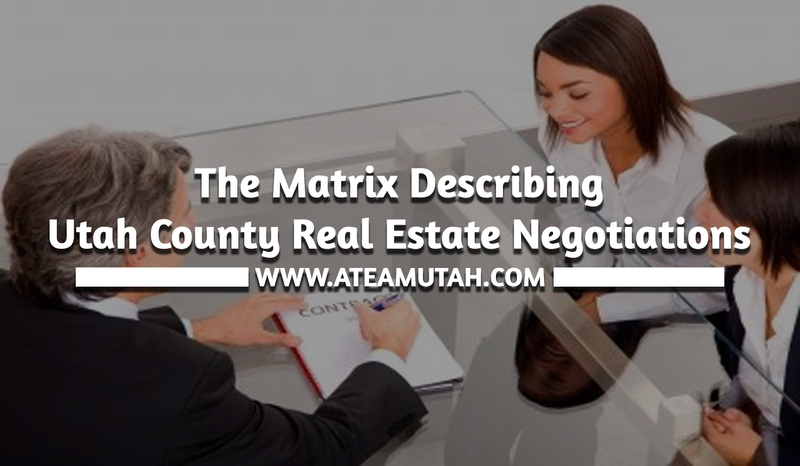 I spend full time dealing with the ins and outs of marketing, dealing with qualified prospective buyers, and making sure the Utah and Utah County technical requirements are met to the letter. That means that the lion’s share of what you need to deal with are the finishing touches of showings and open house presentations. 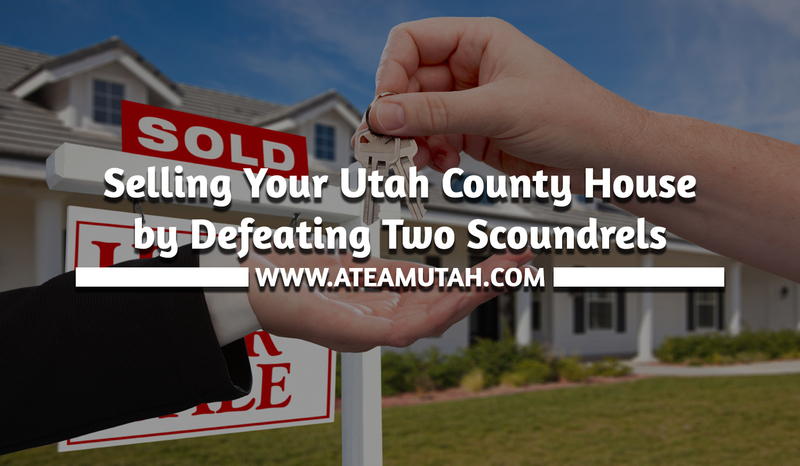 But long before any marketing can get under way; before an eye-pleasing Utah County listing can be created—and even before a final choice the right Realtor® is made—two formidable opponents have to be met and conquered. Taken individually, neither is nearly as imposing as when they team up. But when they work together, they can stall the initiation of any Utah County house selling initiative for months—even years. Unfortunately, they’re always hanging around the house, waiting to cause trouble. The villains are inertia and its helpmate, clutter. Inertia is the force that pushes you back in your seat when your jetliner takes off. It’s the force that keeps the car moving after you’ve taken your foot off the gas. It’s the physical property of a body at rest (or in motion) that opposes a change in what is happening at the moment. In the realm of homeownership, real estate inertia is the natural tendency to stay put in your familiar home setting. Rather than upsetting the applecart by striking out in a new direction, it’s the understandable propensity to leave well enough alone—even when the familiar home base is no longer as suitable a venue as it used to be. This despite the fact that as our family or work or financial situations evolve, sooner or later most everyone will overcome house-related inertia and start thinking about selling and finding a better fit. That might be larger or smaller, grander or simpler, or simply more conveniently located. That’s when inertia’s partner comes into play to stop everything. Clutter is all the stuff we’ve built up to make our lives more comfortable—and there is a lot of it we could do without. But the idea of actually addressing which things are disposable, and then actually disposing of them? Well, nobody in his or her right mind wants to tackle that (at least not right now). The foolproof strategy for overcoming the two scoundrels is to cut the clutter part down to size. Tackle one room at a time. It works. True, this involves overcoming a certain amount of inertia—but nothing like the mountain of the stuff that thinking about the whole household full of the stuff involves. My i + c = l formula probably might not be included in any physics textbooks, but it’s a good one to remember as soon as you begin to think about selling your own Utah County house. Also good to remember around the same time is to give me a call! 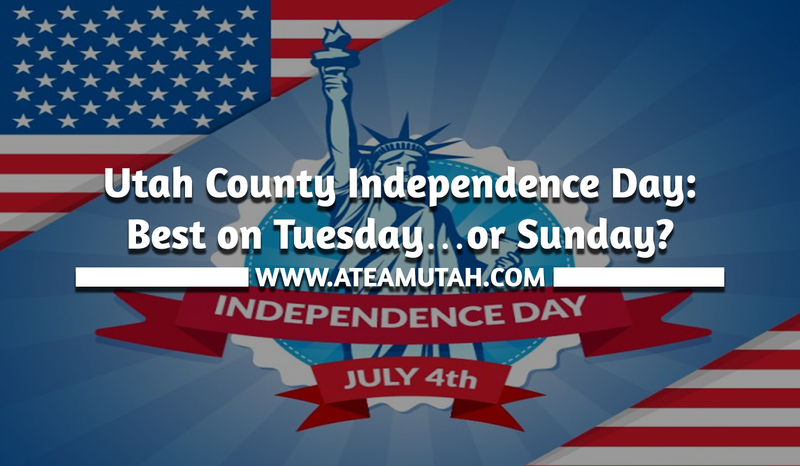 Utah County Independence Day: Best on Tuesday…or Sunday? This year we’re fortunate indeed: the calendar has cooperated with the spirit of the occasion to give Independence Day its proper import. With Utah County’s Fourth of July festivities falling on a Tuesday, we avoid the vexing problem that crops up every time July 4 falls on a weekend. Since nobody wants the extra day of picnicking and parading to be confused with the ho-hum regular weekend days off, the powers that be have to arbitrarily reassign July 4 observances to the following Monday (or previous Friday, if the Fourth hits on a Saturday). But maybe Utah County patriots ought actually to have given more consideration to the serious meaning of the holiday back on Sunday, the 2nd. They would have had ample historical reason to do so. Just ask John Adams. Or Abigail, for that matter. Utah County’s Independence Day observances do live up to what Adams hoped for (except for the bonfires)—so he’d probably have been okay with waiting until Tuesday. As for what the ideas about liberty and self-governance contained in the (slightly tardy) Declaration has meant to humanity as a whole—I bet he’d consider it more than a Tryumph! Whenever your Utah County real estate matters come up, I hope you’ll give me a call—it sure won’t take two days to get going! For a few Utah County mortgage applicants, next week may see a one-time favorable change in how they are viewed by home loan lending institutions. 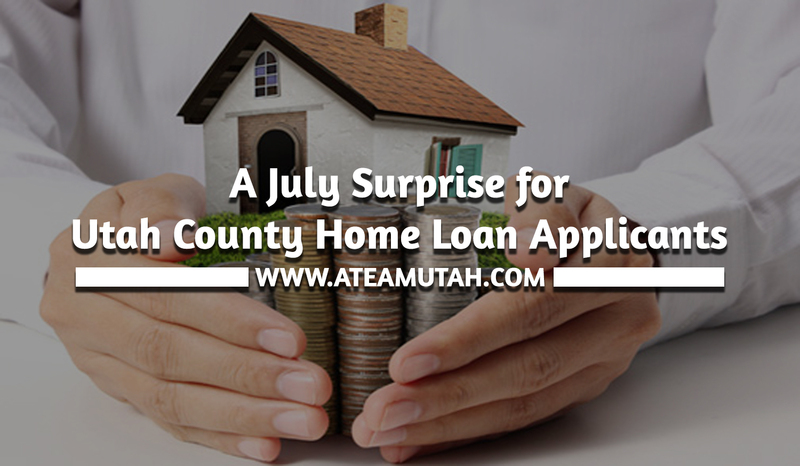 It’s a technical change that could amount to a significant difference in the results they get when they apply for Utah County home loans. The data in question—tax liens and monetary damages from civil court judgments—has too often been the basis for depressed credit scores for unfortunate home loan applicants. And because some governmental agencies can be excruciatingly slow to respond to requests for corrections, when time is a factor (as it often is) those mistakes can be decisive. For any Utah County home loan applicant whose own credit score has suffered, it’s not an abstract problem. In case you are uncertain whether your own credit score might be affected, that probably means it’s been a while since you checked…and that’s never a good thing! Keeping on top of your credit reputation is certain to pay off in the long run, especially when the time comes to begin looking for your next Utah County home—which is also when you’ll want to give me a call! 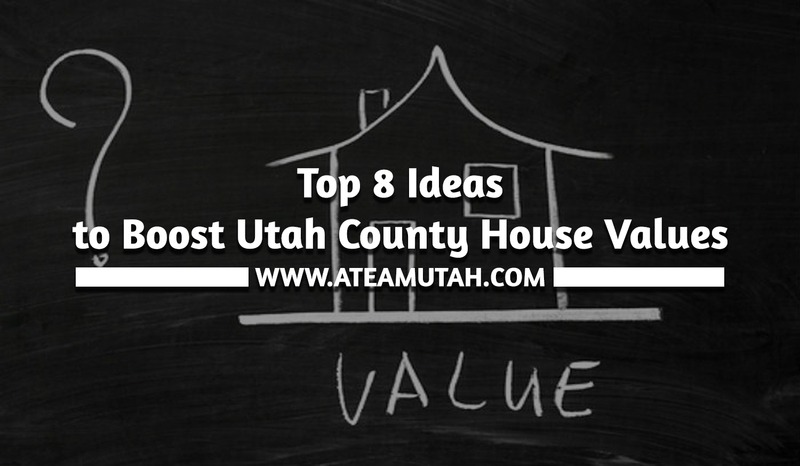 From time to time it can be fun to scour the latest “Top Ten” lists of cost-conscious ways to increase the value of Utah County house value. Some make more sense than others. Upgrading bathroom vanity cabinets appears on some of the house value lists, for instance—but those lists were probably thrown together in a hurry since the return on investment is admitted to be 66%. When an investment returns two-thirds of its cost, it’s hardly competitive. For Utah County homeowners preparing to sell, vanity cabinets don’t belong on the action list. Yard improvement, AKA Landscaping. Return on investment registers at a hefty 303% according to the NAR® (and even 400%, per This Old House). And it’s true that a weedy, dried-up lawn is not the way to woo any but the most bargain-thirsty buyers. We can assume that the investment figure the NAR points to does not include the homeowner’s time, but even so, a shipshape yard definitely provides a house value gain. Repair (electrical, plumbing, what-have-you). Return: 299%. This is for sure: Utah County houses with unaddressed mechanical defects are handicapped in the marketplace—in the end, it’s just too costly. Clean and Declutter. Return: 403%. With an average cost estimated at about $400, there’s no argument that it will be easily returned multiple times. When you can rely on truly professional help, the boost is invaluable. Carpet. The return on investment for an average outlay ($671) is calculated by the HomeGain website at 160%. I might add a caveat to this one: a truly threadbare or uncleanable carpet surely rates replacement—but if existing carpet is presentable, that cost might be better directed elsewhere. Staging. With a return of 196%, it’s hard to disagree—especially since Utah County’s professional stagers can often save by directing attention away from areas that might be overly expensive to renew. Lighten and brighten. This includes everything from “clean windows” or “repainting dark-colored rooms” to boosting the wattage of living room lamps. As a result, the “return” numbers are all over the map: but they’re all positive. Upgrade appliances. Full kitchen remodels are usually too expensive to fully reclaim their cost, although when necessary, minor kitchen remodels reclaim 79%. As an alternative, replacing seriously outmoded kitchen appliances is much more likely to add enough value to make it a canny move. Declutter and Clean. (I know—but if anything is worth repeating, this is it)! Your Utah County house’s value is what the market proves it to be—but it’s also the shelter your family calls home. If it’s filled with happy memories, that value is probably the one that winds up counting the most. But as for the other kind, when it’s time to shift gears, I hope you’ll give me a call! 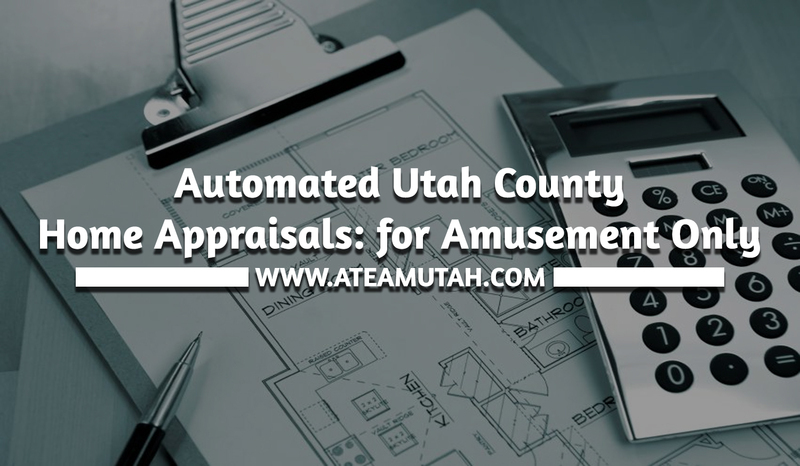 Although generally considered science fiction, the same thing is happening right now in the realm of Utah County home appraisals! Now, before any Utah County readers panic, there’s no immediate danger to the community. The authorities have the situation well in hand; in fact, the robot in question has already been hauled into court. There’s certainly nothing that could affect any individual Utah County homeowner…that is, unless your own house is about to be entered into the Utah County listings. How this might affect your own Utah County home is because prospective buyers might visit Zillow to see what the robot thinks your own property is worth, and be slightly misled. Zillow admits that, compared with actual sale prices, their Zestimate number has a median error rate of 5% (not bad)—but that it’s only within twenty percent 89.7% of the time. A 20% error would be terribly misleading; especially when it happens more than one out of ten times. The fact is, this robot doesn’t come from the future like the Terminator. Its numbers are based solely on publicly recorded information, which may be outdated, incorrect, or, most likely, unable to factor in anything other than basic square footage and general comps. What the Zestimate cannot account for are things like how upgraded, or outdated, or depressingly dark, or delightfully light, or traffic-noise heavy, or majestically awe-inspiring the subject property actually is in comparison to the comps used to calculate the Zestimate. When human beings aren’t involved at all, the subject property itself is not actually compared. I think there is room for this kind of automated approach. It can be fun and interesting to look around a neighborhood to see how various individual properties fare, even if the numbers aren’t to be taken too seriously. As the name implies, it's really just an estimate. But when the time comes to actually sell your own Utah County home or to start looking in earnest for a house you will be calling home for many years, that’s no time to rely on anything less than comparables and guidance researched by a living, breathing real estate professional. In other words, when the information needs to be right—call me! 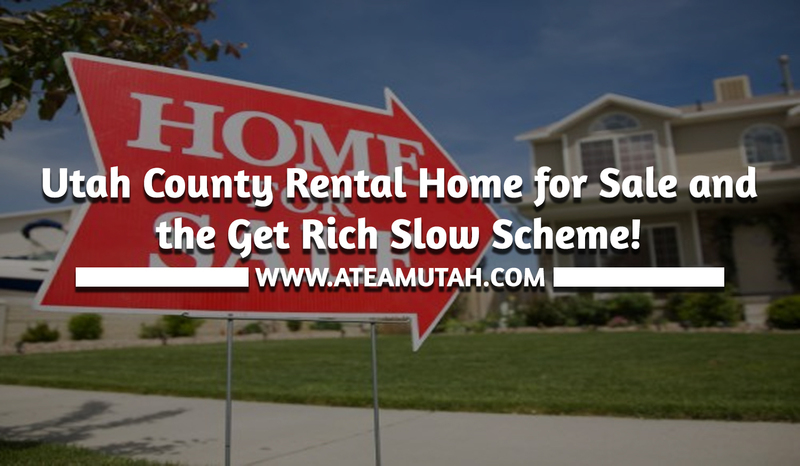 Utah County Rental Home for Sale and the Get Rich Slow Scheme! Prudent Utah County residents tend to go a good deal more cautiously when they plan their investments. They usually aren’t even aiming to “get rich.” More like “get comfortable.” Instead of hoping to reap sudden wealth (living off all those tolls after buying the Brooklyn Bridge), they think in conservative terms like “passive income streams” and “lowered risk strategies.” Instead of responding to radio ads for the week’s fastest-growing franchise opportunity, they’re more likely to be scouring the listings for Utah County rental homes for sale. With “get rich quick” schemes held in such disrepute, you might conclude that a “get rich slow scheme” would be well-received. Perhaps—but it might be better if we switch out that “scheme” word for one that’s more substantial—like “plan” or “program.” In the meantime, if you are among those looking for this brand of steady-as-she-goes investment opportunity, you don’t need a formal designation to put it into action. For details on the current batch of Utah County rental homes for sale, just phone me at the office! New pictures of our beautiful craftsman home in Provo! Brought to you by Alicia Terry at Keller Williams.. Powered by Blogger.